On Tuesday, May 14th (Election Day, BC - vote early!) 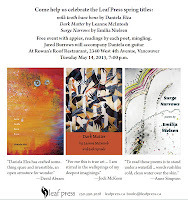 Leaf Press will be launching its Spring 2013 titles. Leading up to the launch I'll be featuring a poem a day from each of Leaf's three new poetry collections. The heart sits at sidewalk cafés, tries to check out passersby. 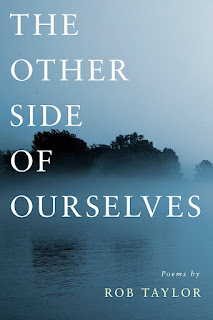 Emilia Nielsen holds a BFA in Writing from the University of Victoria, and a MA in English and Creative Writing from the University of New Brunswick. Currently, she is a PhD Candidate at University of British Columbia. 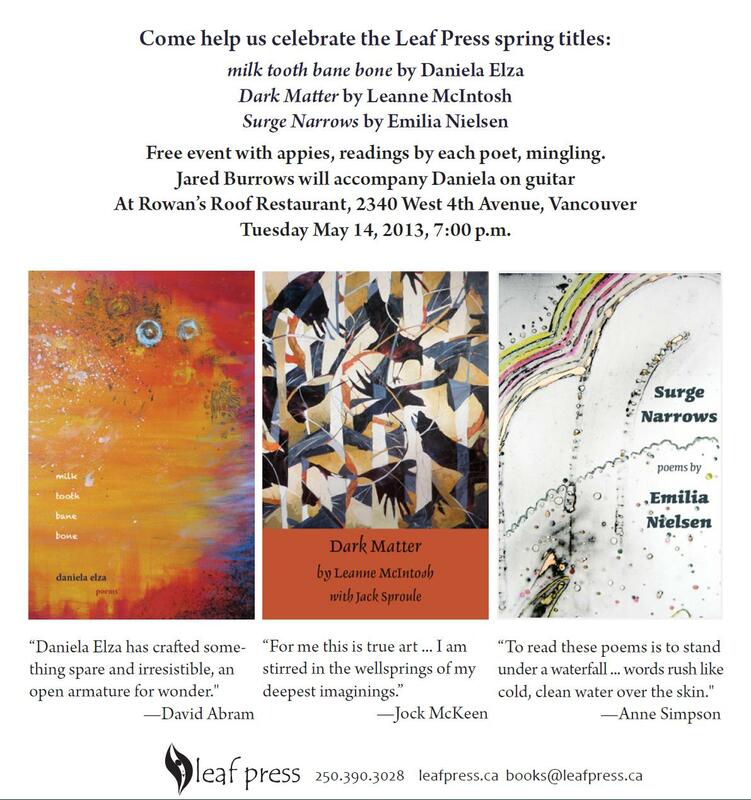 Her poetry has appeared in literary journals including The Antigonish Review, Contemporary Verse 2, English Studies in Canada, Event, Descant, The Fiddlehead, Grain, Prairie Fire, Room Magazine, and was nominated for a Pushcart Prize in Poetry by Prism international. 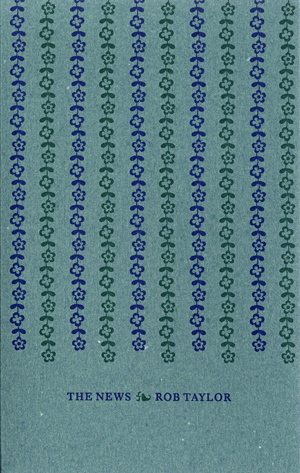 Check back in tomorrow for another Leaf Press poem! If the "something specific" you are looking for is me - a bio, recent poems, upcoming readings, info on my book, etc. - I recommend you visit my website. 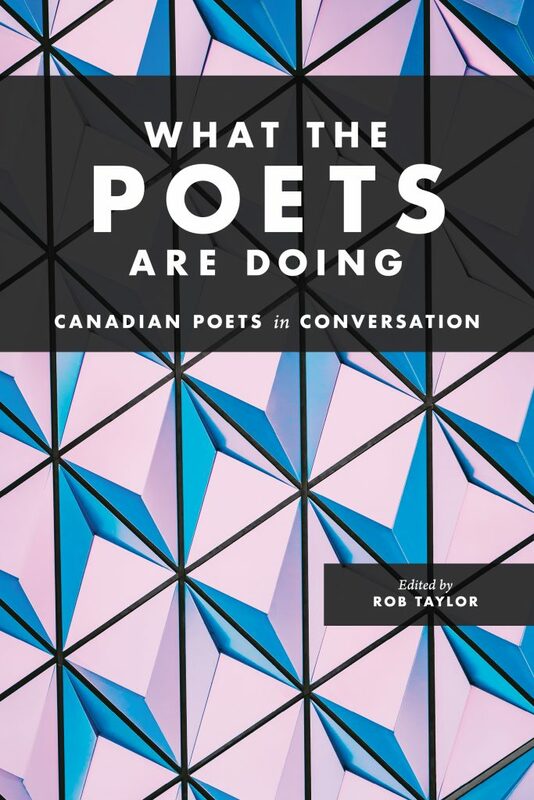 What the Poets are Doing: Canadian Poets in Conversation, a book of interviews I edited, will be published by Nightwood Editions in November 2018. You can get more info about the book here, and follow blog posts on the book here. If you'd like to buy a copy, you can pre-order one from the Harbour Press website, or here, or here. My third collection of poems, "Oh Not So Great": Poems from the Depression Project, was published by Leaf Press in November 2017. You can get more info about the book here, and follow blog posts on the book here. If you'd like to buy a copy, you can order one from the Leaf Press website, or here, or here. My second collection of poems, The News, was published by Gaspereau Press in September 2016. You can get more info about the book here, and follow blog posts on the book here. If you'd like to buy a copy, you can do so at your local bookstore, or here, or here, or here. 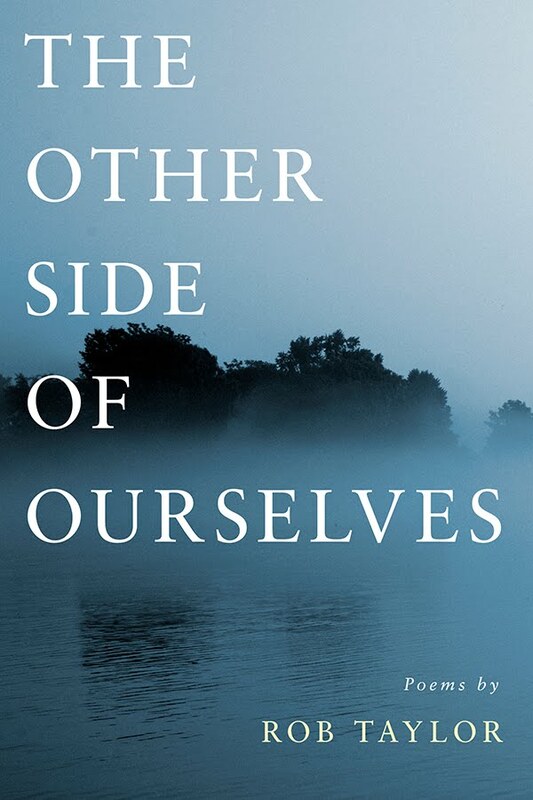 My first collection of poems, The Other Side of Ourselves, was published in April 2011 from Cormorant Books. You can get more info here, and follow my blog posts on the book here. If you'd like to buy a copy, you can do so at your local bookstore, or here, or here (or here, non-Canadians).